If you are not aware, we have run a monthly distribution list for the Telnet BBS Guide on Yahoo Groups (and before that on eGroups). 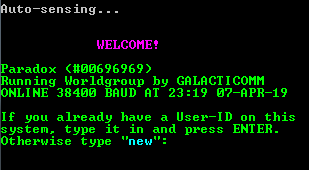 This is to let you all know that we are moving to Groups.io after 19 years on Yahoo, effective for the February 2019 edition of the Telnet BBS Guide. Click on the Join This Group icon towards the bottom of the page. If you do not yet have an account on Groups.io, please sign up for one at this time. If you are already on the Yahoo Groups service, I cannot automatically transfer you, so please sign up for the new service. And if you are new and wish to sign up, please do!